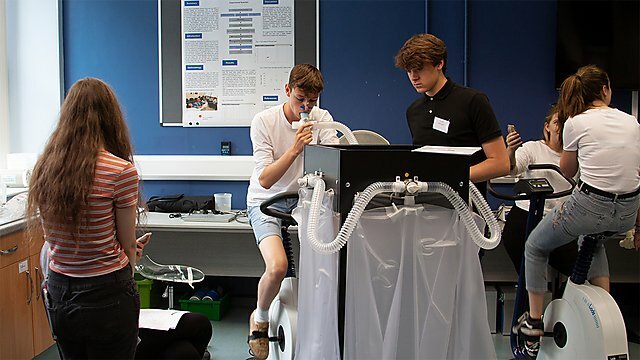 Commencing in 2020, BSc (Hons) Medical Physiology is a specialist course on how molecules, cells and organ systems integrate to maintain normal human living functions. The understanding of physiological function underpins every major medical breakthrough and this course will specialise in neuroscience; cardiovascular and respiratory science and pharmacology and therapeutics. The course will use small group team-based-learning that will enable you to actively engage in the learning process. You will acquire an integrative understanding of human physiology with the ability to apply subject-specific knowledge and collaborative problem solving skills in your chosen career pathway. Gain an advanced understanding of molecular, cellular and systems mechanisms of human physiology, and how this underpins medical and dental science as the key to the detection, prevention and treatment of disease. Apply conceptual knowledge to novel and authentic application scenarios. Using a skills development framework you will engage critical thinking and reasoning capabilities that will promote graduate and professionalism skills. Benefit from small group-learning in which you will actively engage in the learning process designed to promote student-centred, accountable and sustainable learning. In your first year, you immerse yourself in the team-based learning (TBL) environment that will engage critical thinking and reasoning capabilities. TBL emphasises three keys to effective active learning: 1) Individual and group accountability, 2) Need and opportunity for group interaction, and 3) Motivation to engage in discussion. 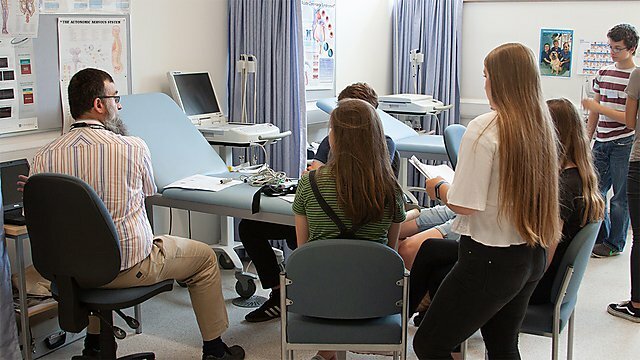 In year one you will study six modules designed to provide an introduction to understanding core concepts and principles of medical physiology, provide foundation knowledge and to give the opportunity to test understanding of key concepts. A key aspect of all modules is that knowledge will be applied to authentic and relevant workplace problems. This module offers an introduction to the biochemistry underlying human metabolism. In particular, the module explores the cellular and molecular mechanisms by which the human body extracts energy from nutrients to sustain life. The significance of metabolic dysfunction in relation to human disease pathology and diagnosis is emphasised. This module supports the development of key study and learning skills. Timetabled tutorials will help promote self-reflection and provide a framework for personal development planning and careers. This module will introduce students to both the discipline of medical physiology as well as the active learning approaches to be encountered during the course. Using subject-specific material it will introduce the concepts of TBL to developing a sustainable knowledge-base and the ability to apply that knowledge in a meaningful way. TBL will be deployed to introduce an integrated understanding of molecular, cellular and systems mechanisms of human anatomy and physiology. Commencing with the integrated study of cell and tissue biology and the founding principles of structure, function, organisation, imaging and homeostasis it will culminate in the application of knowledge to authentic case and disease-based scenarios. This module will introduce the learner to the scope and range of scientific literature, the reporting, measurement and analysis of data and the range of technologies and methodologies currently available within the physiological sciences. This module will introduce students to the concept of pathology as a distinct discipline and to understanding of the impact of disease and inherent pathophysiological changes and processes on cells, tissues, and body systems. It will introduce the concepts of pharmacology and the concepts of how drug action affects the major organ systems of the body as well as drug effects on cell function. This module introduces the student to infection and immunity and in particular to the interaction of microorganisms and virus' with human body systems. It will deploy a flipped classroom approach and explores concepts of gut organisms and interaction, infectious disease and the body's ability to resist and repel such disease via a range of innate immune responses. In your second year, you will continue to use TBL to focus on developing a deeper understanding of the three core course themes of neuroscience; cardiovascular and respiratory science and pharmacology and therapeutics. You will study four modules in which you will integrate relevant elements of physiology, anatomy, genetics, proteomics, immunology, cell biology, pharmacology and therapeutics. All modules will give the opportunity to test understanding of key concepts, and to apply the knowledge gained to relevant workplace problems. 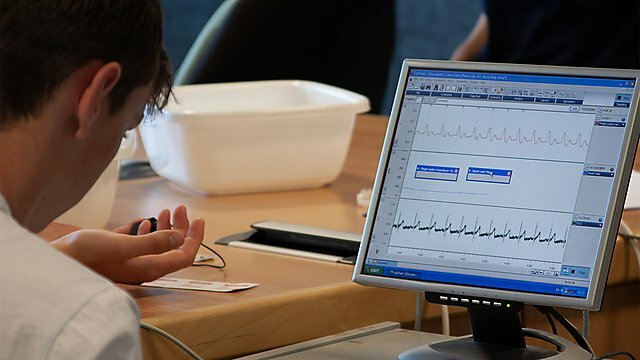 This module provides the learner with the theoretical and practical foundations in medical physiology, by introducing the underpinning biological principles of cardiovascular and respiratory physiology. The module introduces key concepts associated with the planning and delivery of physiological research and development. In particular, it will explore the application of different types of research design and data analysis toward advancing experimental knowledge and understanding. TBL will be deployed to help broaden opportunity to test understanding of key concepts, and to help foster the development of valid and robust research techniques that permit testing of specific hypotheses. This module provides the learner with the theoretical and practical foundations in medical physiology, by continuing exposure to the fundamental principles of neuroscience as an integrated subject. This module provides the learner with the fundamental principles of pharmacology and therapeutics in an integrated manner, which then can be applied to various situations in health and disease, and can result in a positive therapeutic outcome. You have the option to take up a work placement as part of your degree course. This is usually done as a 6 or 12-month placement at the end of your second year. Upon successful completion you gain the Certificate of Industrial or Professional Experience. Alternatively, you may choose to take a work-based learning module, working in a local host organisation, alongside your other studies. This module provides an opportunity for professional training of at least 26 weeks duration with an approved placement provider or host organisation between Stage 2 and 4. While on placement, students will gain work experience related to their degree programme, be able to apply their knowledge and expertise, and learn further skills and relevant techniques. In your final year you will put your experience of using TBL toward the spiral development of the knowledge base and will further broaden topics and concepts. You will study three core modules that cover advanced topics in neuroscience, cardiovascular and respiratory and pharmacology and therapeutics. A personal research project allows you to study an area of medical physiology of particular interest to you in detail. The module requires students to perform a self-directed research study project that includes the design, implementation, collection, analysis and interpretation of scientific data. It also involves the evaluation and interpretation of scientific literature, evaluation of current issues and concepts and the ability to reflect upon continuing professional and personal development. The module aims to provide personal academic support and careers guidance. It will provide a forum for students to discuss their achievements and develop plans to address potential areas of weakness and achieve future career goals. This module provides the learner with the advanced principles of pharmacology and therapeutics which then can be applied to industry and research. The module will provide an advanced level of understanding of molecular, cellular and systems mechanisms that lead to the understanding of neurophysiological mechanisms and an introduction to dysfunction. This module provides the learner with advanced principles of neuroscience which can be applied to industry or research. The module will deploy TBL and will give the opportunity to test understanding of key concepts, and to apply the knowledge gained to authentic and relevant workplace problems. The module will provide an advanced level of understanding of molecular, cellular and systems mechanisms that lead to pathophysiological imbalance. The module will integrate subject disciplines to undrestand dysfunction within selected organ and body systems. The module will deploy TBL to give the opportunity to test understanding of key concepts, and to apply the knowledge gained to authentic and relevant workplace problems. A level: 128 points from three A levels, including at least two relevant science subjects BB from biology/human biology, chemistry, physics and mathematics plus a third subject that can include environmental science, environmental studies, psychology, geography, geology, or applied science. Excluding general studies. BTEC: DDM in Applied/Medical Science. Must contain at least six specialist units in Biology and Science. Please contact the admissions team if you require further advice. International Baccalaureate: 30 points including 5 at Higher Level Biology plus 5 at Higher Level second Science. IELTS: Overall average score of at least 6.5, with a score of at least 6.5 in the listening and reading sections and at least 6.5 in the writing and speaking sections. Access Courses: Pass Access (e.g. science, combined science, medicine) with at least 45 credits at level 3, 30 must be at distinction level and come from at least two specialisms such as: maths, physics, chemistry, biology, psychology. The remaining 15 level 3 credits must be at merit from environmental science, psychology, science related subject. Must have GCSE English and Mathematics at grade C / 4 or above. The tuition fees do not cover the costs of purchasing books or stationery, printing, thesis branding, or photocopying costs. If/when you are on placement there may be additional costs incurred for subsistence and travel. Failure to attend the requisite immunisation clinics at the times stated would result in you having to self-fund your immunisation schedule. This innovative course in medical physiology will be delivered using Team-Based Learning (TBL). The School of Biomedical Sciences is based in purpose-built building linked to the Faculty of Medicine and Dentistry. You will find some of the best undergraduate laboratories in the country.